There are Millions of Websites Online — How Will Prospects Find Yours? The key to a successful website lies in combining the right SEO efforts with a user-friendly platform. Together, these factors can steer several potential leads to your website weekly, thus increasing yearly income for your business on an exponential level. 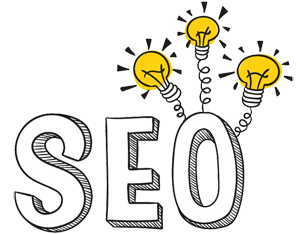 The purpose for SEO is simple – using specific keyword phrases to help your website rank organically. The work that goes into building an effective marketing campaign is not easy, but that’s what we’re here for. Search engine optimization and brand growth is a long-term effort where several elements work together to produce a well-oiled internet marketing machine. Our internet marketing campaigns have generated results for clients across different industries. We always make sure to do our research to help your business achieve the highest success and produce continual growth for years to come. Simply put, we know what works. Looking For A More In-Depth SEO campaign? We understand that it can be difficult to implement and maintain all of these key elements while running a full-time business. Our internet marketing consultants have got you covered by staying on top of changes in Google algorithms and best practices to keep your website performance up-to-date. We offer a top of the line, All-in-One Bundle which provides your business the necessary tools to grow its exposure online, and generate monthly quality leads and revenue. We focus on making your business a top competitor in your local marketing by improving and establishing your website’s visibility and rankings. A customized monthly email newsletter will be sent to all of your clients outlining company news, promotions and/or links back to your blog posts. A great way to rank for more keywords and attract more traffic to your website is through quality and informative blogs. We’ll do research and write them. Your first video will be a professional company intro video at your location, and then quarterly (1 every 3/mo) FAQ videos using actors or cartoon animation. We will run your business Facebook account and 2 other platforms of your choice, and create 3 weekly organic posts, plus $100 for 1 Facebook Ad. Budget not included. 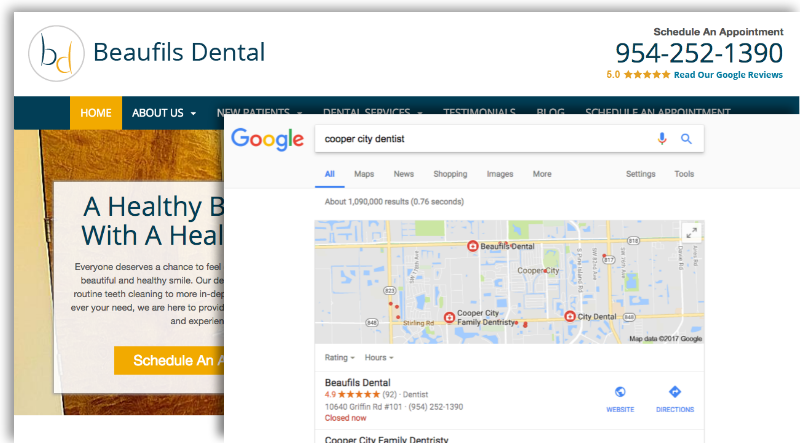 We set up to 5 Adgroups to focus on services which we know will generate quality leads and revenue for your practice. We believe in transparency, which is why we provide a monthly marketing report which outlines all of the works completed for your business in detail. Whether to discuss your report or are seeking advice on new marketing ideas, we can set up a monthly consultation phone or Skype call, or in-office meeting (depends on location) to discuss monthly progress. We set up your own business call tracking account, provide up 10 local numbers and 500 minutes a month (extra minutes charged separately). Ready To Grow Your Small Business & Learn More? Think of how many websites are indexed by Google on a daily basis (let’s just say there are many). How will yours rise past this seemingly bottomless pool of competitors? At Clicc Media Inc, we pride ourselves in implementing effective SEO methods to boost our client’s website to the forefront, which is why we will never work with your competition. We limit our services to one client per specified service per city. To help you become an industry leader in your field. We value long-term partnerships. Together, we can tailor an internet marketing strategy that will help elevate your business performance to a more competitive level. To learn more about our online marketing packages, how it can increase your online presence and strengthen your branc, contact us to get ahold of one of our professional consultants. We are located in Pembroke Pines, FL and offer services to businesses nationwide.